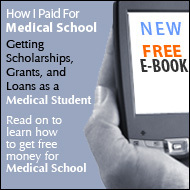 Many physicians begin their careers owing thousands of dollars in student loans, which can be overwhelming. A lot of these loans are private student loans that were necessary to help bridge the gap that was left between the amount of federal financial aid students could obtain and the costs of attending medical school. You are not alone in your debt worries. Statistics show that more than six in 10 college graduates are burdened with educational debt. Owing excessive amounts in the form of student loans can be a huge burden to bear, both financially and mentally, especially if you have to make several payments to several different lenders. Once you begin repaying your loans, having to remember which monthly payments to make to which lenders and when to make them can be an overwhelming hassle, to say the least! Fortunately, there is a solution to your debt problems that can simplify your life, help you manage your student loan debt, and even save you money. The solution is consolidation. Consolidation merges your outstanding student loans into one easy-to-manage loan. The total balance from all of your outstanding loans is rolled over into one new loan. Here's an example. Let's say that you have four medical student loans with balances of $3,000, $5,000, $6,500, and $7,500 respectively. When consolidated, the original lenders would all be paid in full, and the total balance of $22,000 would then be carried over to one loan and just one lender. Let Medical School Loans help to alleviate the pain that your student loan debt is causing you by consolidating your private student loans. When you consolidate with Medical School Loans, the result is just one low payment to just one lender each month! Medical School Loans also offers competitively low interest rates and fees, as well as several flexible repayment options for our private loan consolidations. There are no penalties for early repayment, and any amount that is paid in addition to the minimum monthly payments will automatically be applied to the principal balance of the loan. We also offer extended 30-year maximum repayment terms. These are available to all borrowers, regardless of their loan balances. And when you take advantage of both our graduated repayment options and our 30-year repayment terms, you can literally lower your monthly payment by almost half! To further decrease our low interest rates, we also offer appealing borrower benefits, such as an immediate 0.25% interest-rate reduction when our borrowers sign up to make payments through our automated debit program. And of course, with any Medical School Loans student loan consolidation, you are guaranteed our excellent customer service. Our loan specialists will work with you to ensure that your loans are consolidated in a professional manner as well as answer any questions that you might have pertaining to your consolidation. Another advantage of consolidating your private student loans with Medical School Loans is that by managing your student loan debt with consolidation, you will actually improve your credit rating and financial status. This will make you more appealing to lenders when you want to take out or consolidate other loans in the future. Medical School Loans uses your credit standing to help determine your interest rate by ranking your credit status based on what is called a credit tier. The better your credit standing, the higher your ranking on the credit tier. The higher your ranking on the credit tier, the lower your interest rate on your private loan consolidation. The interest rate for your private student loan consolidation is also based on the three-month London Interbank Offered Rate (LIBOR) as well as the highest level of education that you, the borrower, have achieved. The LIBOR is rearranged quarterly based on the LIBOR published in The Wall Street Journal on the 20th of the prior month. The LIBOR is currently set at 5.24%. The credit-tier rates range from 7.74% to 15.19%. A borrower who begins the private student loan consolidation process with Medical School Loans will have an origination fee added to the principal balance of his or her loan. The good news is that you do not have to pay this fee up front. The origination fee is also determined by your credit standing or credit-tier ranking as well as the highest level of education you have achieved. To be eligible for a private student loan consolidation with Medical School Loans, a borrower must have at least $10,000 in eligible private student loan debt. The maximum private loan consolidation amount is $150,000. The amount that you are able to borrow or consolidate is, once again, determined by your credit standing or credit-tier ranking. It is also possible to add additional private student loans to your existing Medical School Loans private consolidation loan once it has been processed. You will have an allotted 180 days from your funding date to include other private loans that may be new or that may have been missed when the consolidation was done. To add a loan to a private loan consolidation, a Master Promissory Note Addendum may be used. Upon the completion of your application to consolidate your student loans with Medical School Loans, you will directly enter your repayment period. This will usually happen about 20 days from the time that the funds were disbursed to your previous lenders. Your payments will include both interest and principal over a 30-year period (equal repayment) unless you specify that you would like to sign up for one of our graduated repayment options. With our graduated repayment options (Select 2 and Select 5 plans), you will be able to start out by paying interest only for the first two years of repayment. Our graduated repayment options will help you to keep your payments as low as possible for the longest amount of time possible. You may change your repayment option at any time, however, so you may choose to start with a graduated repayment plan (Select 2 or Select 5) and then switch to the equal repayment plan at a later date. By extending the term of your loan and selecting one of the graduated payment options, you can dramatically lower your monthly payment. If you choose to make equal payments on your loan, both the interest and principal will be paid equally over the life of the loan. Your monthly payment amounts will not change over the life of the loan. With the Select 2 graduated payments option, you will be allowed to make interest-only payments for the first two years of repayment. After two years, the payments will increase to include equal installments of both interest and principal for the remaining term of the loan. Finally, with the Select 5 graduated payments option, you will make interest-only payments for the first two years of repayment. During the third through fifth years of the loan, the payments will increase to include only a portion of the principal with the interest. Upon the sixth year, your payments will once again increase to include both principal and interest equally throughout the remainder of the loan term. Again, there are no penalties for early repayment, and any amount that is paid in addition to the minimum monthly payments will automatically be applied to the principal balance of the loan. Also, all repayment options offer a 30-year maximum repayment term. At Medical School Loans, we are able to consolidate your private student loans that were used to cover educational expenses such as the costs associated with tuition and fees, room and board, books, etc. This also includes costs associated with residency expenses. Unfortunately, we are unable to consolidate debt that is associated with credit cards, spouse or family debt, home equity loans used for educational purposes, insurance policies used for educational reasons, educational travel expenses, retirement plan loans or withdrawals used for educational purposes, computers purchased for educational purposes, or, finally, loans that have been in default status. Be at least 18 years of age at the time you initiate the application. Have a minimum of $10,000 in U.S.-issued private student loan debt. Be in the repayment period for your private student loan debt at the time the application is completed. At least two years of credit history. Not filed for bankruptcy in the last five years. No tax liens against you. No loans in default status. Had no more than two accounts 60 days past due in the last two years. Had no more than one account 90 days past due in the last two years. Medical School Loans does allow borrowers to have co-signers on their private student loan consolidations. Having a co-signer will allow the borrower to reduce his or her interest rate on his or her private loan consolidation by up to 0.75%. However, the borrower must qualify for the private loan consolidation based on his or her own creditworthiness prior to adding a co-signer to the consolidation. Medical School Loans does offer forbearance options for its private student loan consolidations, allowing those who fall upon financial hardships to temporarily suspend making their monthly payments for an allotted period of time. Borrowers should bear in mind, however, that while their loans are in forbearance, interest will still continue to accrue on their consolidations. Internship, residency, deployed military, and in-school forbearances are available to those borrowers who qualify. We do not offer hardship forbearance. Unfortunately, a deferment option does not exist for our private student loan consolidations. Therefore, we encourage borrowers to take advantage of any deferment options they currently have and not relinquish their in-school or grace-period deferments on their private student loans by starting private student loan consolidation applications with Medical School Loans during their deferment periods. However, if you are not currently in your private loan repayment period, you can still apply for a private student loan consolidation with Medical School Loans and request a grace-period hold. This will put a hold on your application, and we will start to process it on the date that you have specified in your application. The hold can remain in effect for up to four months from the time that the application was initiated. The application process to consolidate your private student loan debt with Medical School Loans is fast and simple. To start the process today, simply call 800-680-7197. With just a short phone call, we will be able to determine your eligibility for a private loan consolidation with us. Within minutes, we will also be able to tell you your interest rate, your consolidation loan limit, and the amount of your origination fee as well as provide you with information on money-saving borrower benefits. Later on, a Master Promissory Note and application will be sent to you by mail. The Master Promissory Note and application should be completed, signed, and returned within 60 days. If you fail to send back the Master Promissory Note and application within the allotted time, this will result in the cancellation of your application. It is very important that you return your application in a timely manner. Once we have received your completed Master Promissory Note and application, Medical School Loans will inform you, the borrower, of your loan approval and provide you with information regarding your loan repayment schedule. When you begin making payments on your private loan consolidation, you will have the opportunity to sign up for our borrower benefit of an immediate 0.25% interest-rate reduction. This is available to those borrowers who choose to make their monthly payments through our automated debit program. Please note that as a borrower, you need to continue to make your monthly payments to your existing lenders until Medical School Loans has confirmed that your application process is complete and Medical School Loans has taken over your loans. It is also a good idea to confirm that your account with your original lender has been paid in full after we have disbursed payment to them. It is not possible to consolidate your federal student loan debt with a Medical School Loans private student loan consolidation. Fortunately, however, we also offer federal student loan consolidation. This allows our borrowers to keep their federal benefits. It has been suggested that borrowers should consolidate their federal student loans prior to consolidating their private student loans. Doing this will reflect a positive payment history with respect to your federal student loans, thereby improving your credit history. As mentioned before, having a positive credit history will save you, the borrower, money when it comes to your private loan consolidation interest rates and origination fees, as well as increase the amount that you can borrow or consolidate. As an industry leader, Medical School Loans is dedicated to helping physicians and medical students like you realize all of their educational and financial goals; this includes managing educational loans. We are committed to helping our borrowers become financially successful. At Medical School Loans, we realize that because you have attended or are currently attending medical school, the burden of your student loan debt is far heavier than that of the average working professional or student. Because of this burden, we work hard to quickly and accurately process your consolidation to help you start saving money now! Because we only offer our select services to physicians and medical school students, we can concentrate our efforts on serving only those in this influential field of study. This allows us to provide a higher standard of service, setting the bar for the loan and consolidation industry. It does not take a medical degree to realize the many benefits of choosing Medical School Loans for all of your student loan consolidation needs. Let us help you alleviate the pain and stress that private student loan debt can cause. We look forward to helping you save precious time and money by consolidating with us. Our educated agents are ready to help you start your private medical school loan consolidation application, so call 800-680-7197 today!